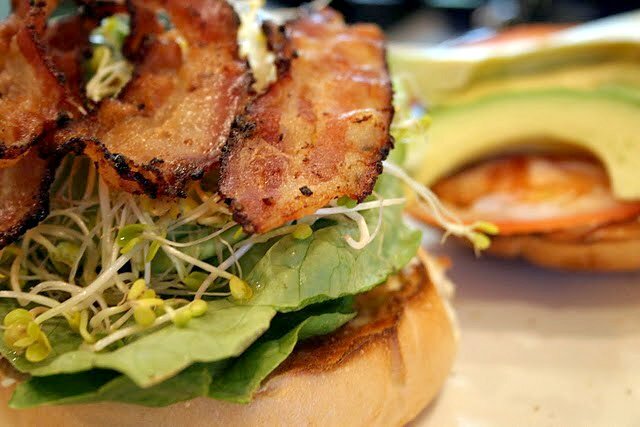 Did you know if you add avocado to something you can put the word “California” in it’s title? It’s true. 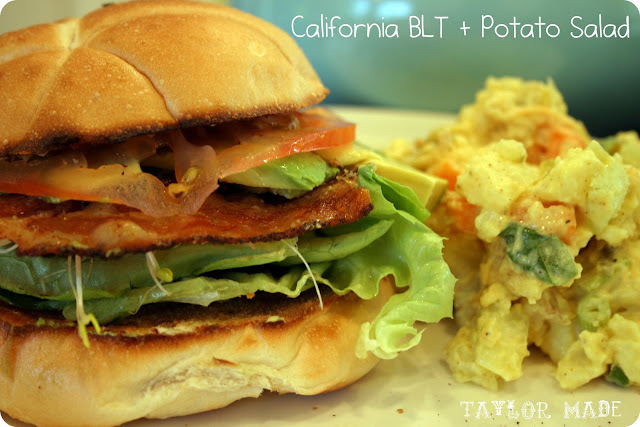 So this is the California BLT with my Homemade Potato Salad. 6 yukon gold potatoes – quarter and boil for 25 mins. Drain and cool. Did you take a photography course? I really like your pictures.